#HappyWeekend friends! 🌞 What are you up to!?? 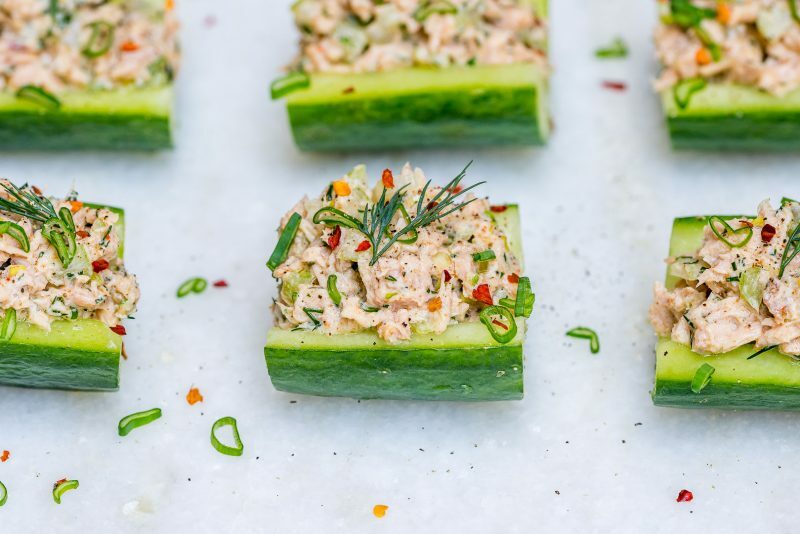 These simple little cucumber bites are so perfect for entertaining, or just keeping things light and tasty! Slice the cucumbers right down the middle length wise. Then, using a spoon, gently scrape out the insides. Cut the halves in 4-5 equal pieces depending on the length of your cucumber. 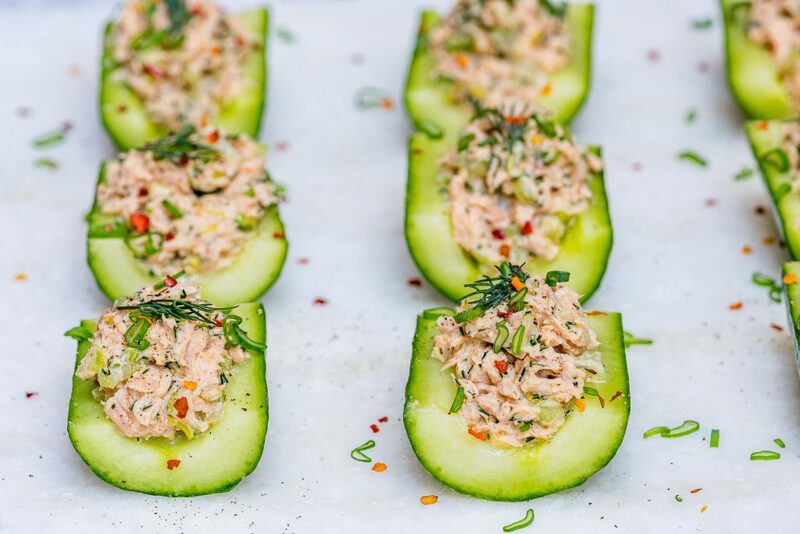 Discard the scooped seeds and set the cucumber “boats” aside on a large platter. In a small bowl add the drained tuna and gently mash with a fork until it’s all flaked. Add in the celery, green onion, yogurt, dill, lemon, smoked paprika, sea salt and pepper. Mix all of the ingredients together with a fork until everything is nicely combined. 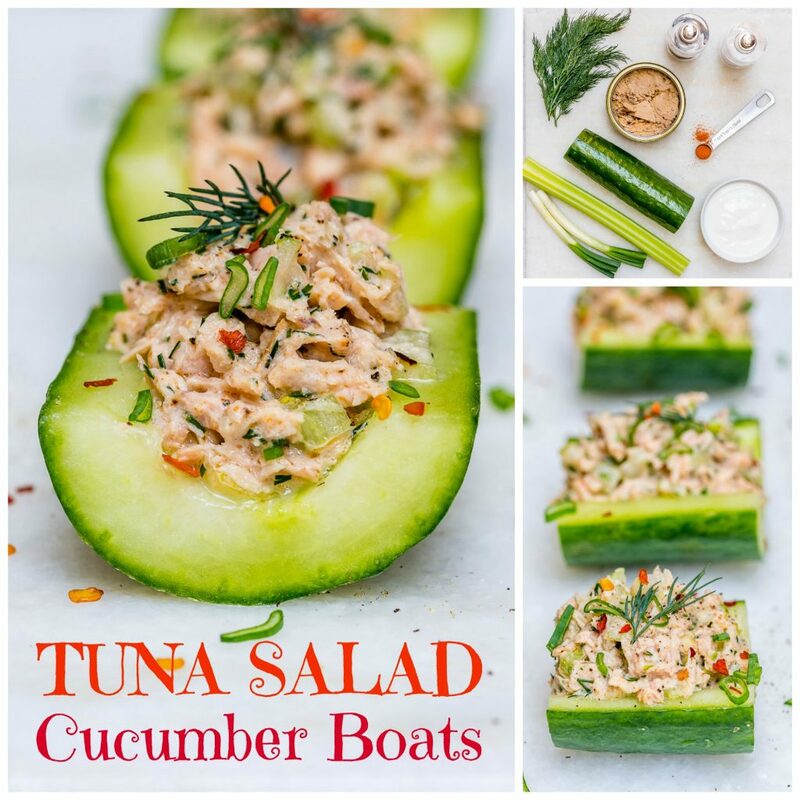 Place the fresh tuna salad mixture into each cucumber half. Top with green onion slices, and sprinkle with a pinch of chili flakes. 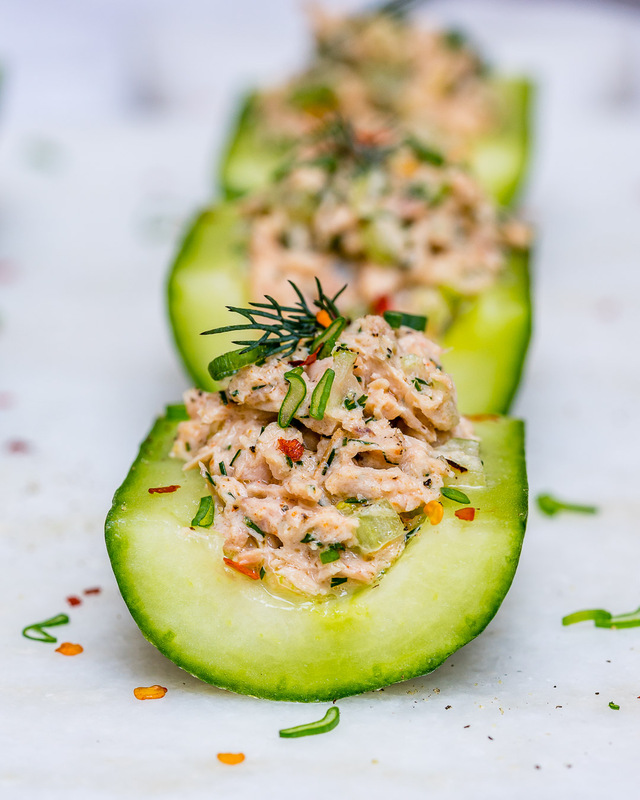 Discard the scooped seeds and set the cucumber "boats" aside on a large platter. In a small bowl add the drained tuna and gently mash with a fork until it's all flaked. 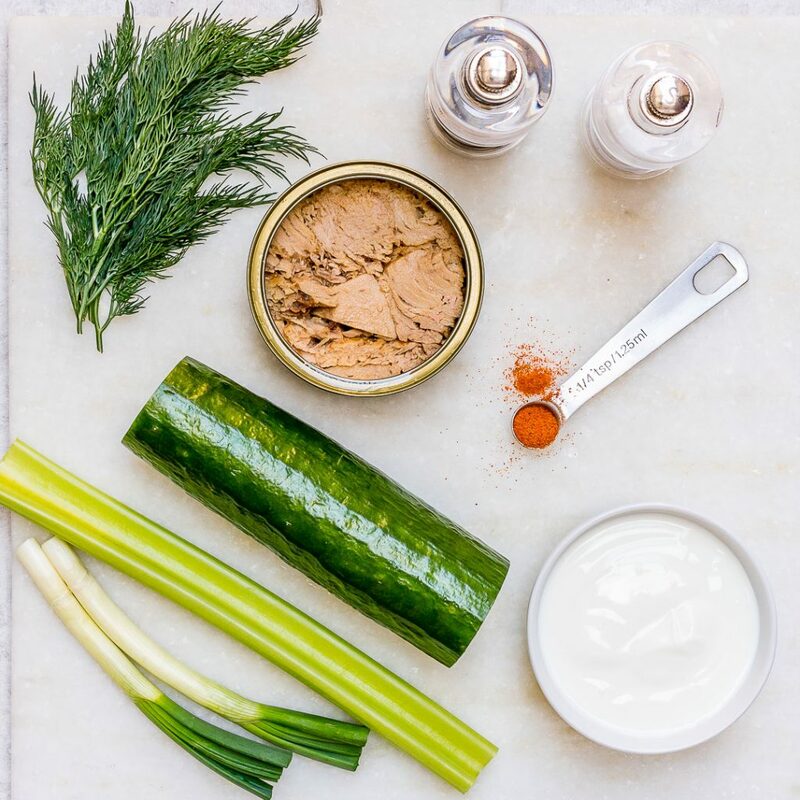 Add in the celery, green onion, yogurt, dill, lemon, smoked paprika, sea salt and pepper.